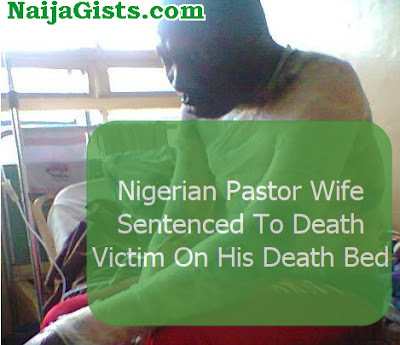 Pastor Mrs Mary Attah has been sentenced to death by hanging by a Delta State High Court in Effurun, for stabbing her husband, Pastor Darlington Attah, with a kitchen knife and setting him ablaze. The 28-year-old housewife was pronounced guilty on the one-count charge preferred against her by Justice E.I. Oritsejafor. The prosecution counsel, Patrick Mekako Esq, told the court that the accused who was married to the deceased, with four children, had on or about 6 July, 2012 at Effurun, within the Effurun Judicial Division, attacked her husband with a kitchen knife and stabbed him in the neck as a result of an alleged phone call from the husband’s lover. He further told the Court that the accused was infuriated by the telephone call at a time they were having a ‘nice time’ which prompted her to rush to the kitchen, took a knife and pepper which she rubbed on her husband’s face to demobilize him before stabbing him in the neck. Not satisfied, the convict doused the husband who was already weak as a result of excessive bleeding with fuel and set him ablaze and he later died at the Warri Central Hospital where he was rushed to. The offence is punishable by death under Section 319(1) of the Criminal Code Law, Cap C21, Volume 1, Laws of Delta State of Nigeria, 2006. Delivering the death sentence, Justice Oritsejafor held that the prosecution was able to prove beyond all reasonable doubt the essential ingredients of the offence of murder against the accused person. “I must also add that the evidence before this Court do not and cannot support the plea of self defence in favour of the accused person. I agree with the learned Assistant Director for the Prosecution that there is just no possible defence to avail the accused person when she stabbed her deceased husband in the neck with a knife and thereafter doused him with fuel before she struck the match on him. Her intention was to kill the deceased or do him grievous bodily harm. 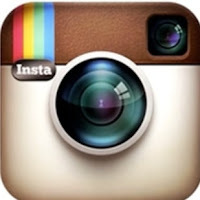 The law is trite that a man intends the natural consequences of his act. “From the evidence before this Court and in particular the extra-judicial statement of the accused person, Exhibit A and the evidence of PW1 and PW2 which corroborate and consistent with the facts contained in the said extrajudicial statement Exhibit A, I hold that the prosecution proved beyond reasonable doubt that the accused person murdered her deceased husband on or about the 6th day of July, 2012, and I find the accused person guilty of the murder of Darlington Attah as charged. Accused person is accordingly, hereby convicted of the offence of murder. The sentence of this Court upon you, Mary Attah is death by hanging by the neck till you be dead and may the Lord have mercy on your soul,” Justice Oritsejafor held. Pretty tough one except! Even the judge ask God to have mercy on her soul..
MAY THE VICTIM’S SOUL REST IN PEACE! ABOUT THE MADAM, MAY THE LORD JESUS BE THE FINAL JUDGE AMEN!!! She deserves d death sentence, how can someone be that wicked and demonic. Chai!!! Advanced wickedness! Stabbed him, poured pepper on him and roasted the man. 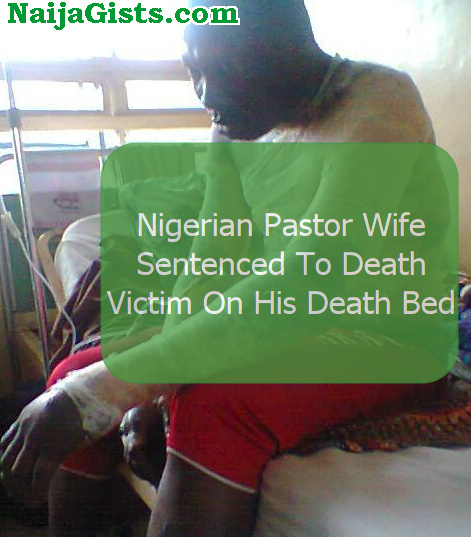 Perhaps she wanted to use him as suya and she being pastor’ s wife. Hmmm, just beyond comprehension !! With this unabating rate at which love-gone-sour stories are told every cursed day, if counter stories of couples who have made it happily ever after are not equally told, it may appear that marriage is the worst thing anybody would ever be involved in, an a lot of people might never want to give it a try. Oh my God , this is so sad! how can a woman have this much capacity to carry out this horrendous act? where she get the power from? let us be careful oooo , don’t vouch for anyone even your so called daddy pastors. Now she will say its the devil. na wa ooo! Good judgement. Let see who will take care of their children she is leaving behind. This woman is so foolish enough to allow her sense of emotion override her sense of judgement. Are you now satisfy that both of you are leaving those little kids for suffering? we need to critically examine the consequence of our action before we embark on vengeance mission. How do you want your children to survive? You brought them into this world just to come and punish them just for no reason. Who knows whether you yourself have a secret lover. This is just too much.? Hmmmm, what will happen to the kids? This is a serious one o.
Ladies and gentlemen be weary of the kind of choice you are making when it concerns marriage. Am sure the Jezebelian spirit did not enter this convict within their marriage but at times carelessness,prayerless and indiscretion make some of involve in such terrible mistake in the choice of marriage. Any of the triple blows giving to her husband was capable of dealing destructively on the man, but combining the 3 showed the intensity of her furry. Even the angel of death from the pit of hell had not impacted so much calamity. This one is worse than Rev. King Ezugo. Death penalty is well deserved. As a pastor’s wife, was she not the church’s women leader? what counsel had she been given to the church women folks. What the biblical teaching on endurance, patience and long suffering? may God grants her second chance of repentance. God will have mercy on them. A pastor recieving phone call from his lover, knowing that he is married and a man of God. but the woman who suppose to call God intervention acted otherwise. God has the final say beyond the jury of men. Why is it that only Christian erouse this women to such lenghts? Before now a man can have 6 woman in the house and have relative peace. A call and all hell broke lose and Christ tough differently. Many can’t live the freedom in christhe as their nature is still without light. I see it all the time…. give them an inch and they take a mile. While I resent the death sentence, one can’t ignore the animality women result to at the quickest slight. Say hell knew no fury as a mom and sounded. True then and now. Only in America, women are yet to be equal under the law and uses the law only as a means to an end. I hope all logic and caution prevalid in this case, thus…. God have mercy on all of us.